Located only one hour south of Barcelona, the Penedès can be divided into three sub-regions: the Baix-Penedès (Lower Penedes), the Garraf, a coastal zone dominated by the homonymous massif, and the Alt-Penedes, the area where the majority of the regional wines are produced. This picturesque region is one of the most famous in all Spain for wine producing, and the world’s largest producer of Cava, a naturally sparkling wine which is considered as the Spanish version of the French Champagne. It is next to Montserrat natural park so you can schedule 2-3 days to visit both areas. By train | Getting to Vilafranca del Penedès by train is easy, comfortable and economic. You can take the train at Renfe Station, on Plaça Catalunya, corner of Ronda Universitat/Rambla de Catalunya or in Passeig de Gracia or in Sants Estacio. By car | The Penedes area is pretty close to Barcelona, it can take around 45 minutes to get there depending on the traffic. You can create your own route according to the itinerary you chose, so the only things you need is a good map. Remind to drive responsibly after the wine tours. 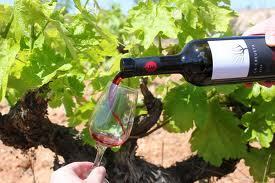 The Penedès enotourism offer is so widespread and convincing that it is extremely hard to make a selection. Visiting wineries, spend the night in a village among the vineyards, tasting wines and cavas and even being a winemaker for a day are only some of the possibilities. 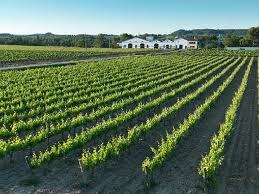 Apart from the most famous and big ones, many small and independent wineries offers guided tours and tasting. It can be a very interesting alternative if you are looking for a more personalized experience. aves Xamos or Caves Hill are some of them. On the other side one of the biggest one Bodegas Torres, offers a full range of visits and services. Some city councils and companies in the Penedès region have created the Alt Penedès Tourism Promotion Consortium so you can rely on them for any further information about any specific wineries, D.O. Penedés. Penedès is not only a paradise for wine-lovers. Its several natural and cultural attractions will inebriate you as strong as its grape syrups. Its landscapes are a manifest to the Mediterranean nature, apart from their historical value, due to the fact that in this area there were settlements since the Romans time. If you’re really brave and not animalist, you can give it a try to the shoots organized between October and February. You can also chose to join a more usual guided hiking in the surrounding mountains, often organized by the local archaeological museum. In the beginning of the twentieth century, local wine producers used to commission the construction of their wineries and houses to the best Catalan Art Nouveau architects. Among the most famous there are the ones in Vilafranca del Penedès, Gelida and Sant Saturni d’Anoia. Gelida is housing the Gelida Castle Interpretation Centre, a point of reference for visitors interested in knowing more about the historical heritage of the area. This centre is partly located in the Medieval castle which gives it its name. From March to November: Castellers, performances in the main city squares all over the region where the artists create human towers which resembles the shape of a castle. July: Jazz Festival “Caixas Penedes ViJazz” in Vilafranca del Penedès. August: Festa Major (the biggest popular celebration of the year) of Vilafranca del Penedès. From September to November: Wine harvest festivals (different locations). November: MOST. Penedès Wine and Cava International Film Festival (the best international audiovisual works related to viniculture in Vilafranca del Penedès). From November to April: the Xató Route. Several events dedicated to Xató tasting. Xató is a local seasonal salad whose main ingredients are desalted fish (anchovies, cod or tuna) escarole lettuce and olives, all served with a special homemade sauce. December: Fira del Gall rooster fair (Vilafranca del Penedès, Dec.21 st and 22 sn). In this fair, run since Middle Age, visitors can buy and taste the famous Penedès Rooster, a native variety very well known for its meat. This entry was posted in Outside Barcelona, Places to go and tagged Cava, cava taste, Penedes, vijazz, Vilafranca del Penedes, visit Penedes, wine, wine route, wine taste on November 19, 2013 by ApartEasy. Pingback: Car parking in Barcelona | ApartEasy - Your stay in Barcelona. Pingback: Rent a car in Barcelona. | ApartEasy – Your stay in Barcelona. Pingback: Shop wines and cellars in Barcelona | ApartEasy – Your stay in Barcelona.